Congrats on finishing Your bird. I like the chipping very much. My tests with hair spray did not worked very well. maybe I will give it a try with Your method! Exelent job,nothing wrong.My great respekt to you. PS.For exhaust pipes better use dry pigmets(rust) over black paint(looking more realistic).One more time - BEST MODEL. Well, November is not the lucky month for my models. After applying the matt varnish, the model was destroyed ....... I applied the matt varnish of Humbrol and it remained so ..... 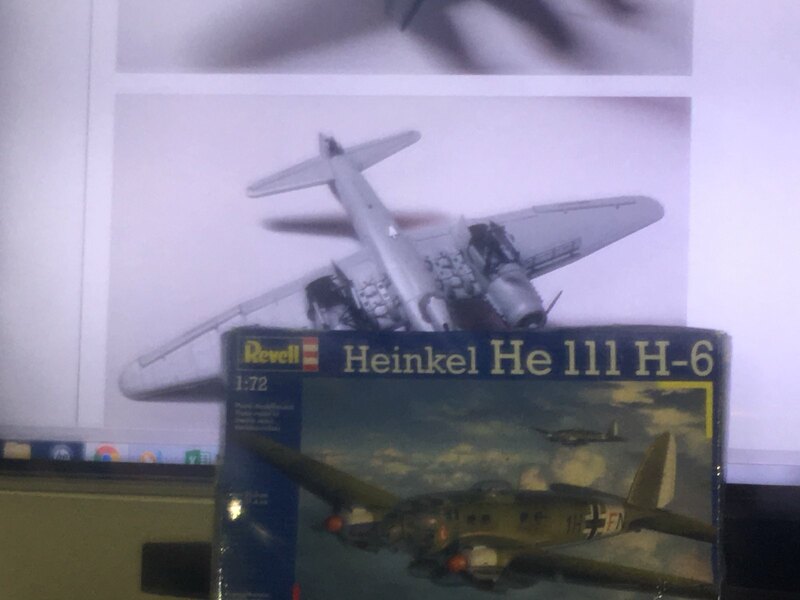 I started another He-111 in another campaign. I can't seem to get a bomber project off the ground and, with only two months left, doubt I'll be able to. Things may change, but in the meantime I'm highly impressed by what I see here! Wow, guys are finishing up and I've barely started, just shot some interior green on my A-20C. Alexander: Thank You very much for Your tip. I tried this one on my Corsair built in the Jolly Rogers campaign and it worked really nice! Jose: Sorry for the flat coat disaster. Try Alexanders remedy to rescue Your work! Making progress. Assembled, primed, RLM 65 sprayed on underside. This is an Airfix Ju88A-4 1/72 scale. Thank you for your compliment, the fit wasn't very good. Used a lot of green putty. Port side wing looks like a Stuka wing upside down, and tail looks like it has a twist. Now that I'm mentioning it i should shoot a few pics and post. 2018 has been an Airfix year, kind of challenging. Three Airfix kits completed. So I'm very pleased I have this kit from Zvezda on my bench. Encountered no real problems yet, fitting is very good so far. Dry-fitting of the wings showed no upcoming gaps, so I decided to paint the undersides already, because it will be simplier to paint these "Spaghetti" camouflage lines before mating to the fuselage. Thanks for your comment Alexander, but I give the kit to my kid.... he plays with it!!! Thank you for the words of encouragement. Your build is looking great. I've posted the pics showing the port side wing and notice the tail section is off. You are right, I will get through. Happy New Year everyone. Ouch, I goofed... Waited till there were 2 months to go and then posted my start picture. Original OLD kit, plenty of raised rivets, engine cylinders molded into the cowlings, loungers for seats, pilot and bombader are exactly the same shape. The decals are totally toasted and I got PLENTY of extra flash to go around. Well then, Mark, happy modelling! You can do it Mark! Positive waves, baby! 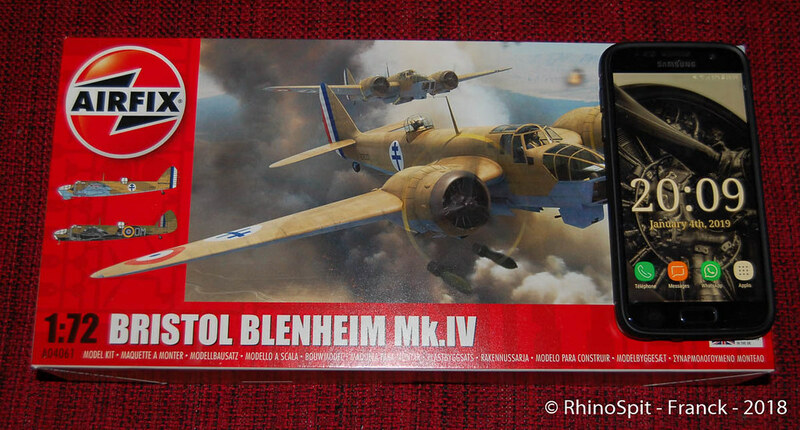 i've a lot of bombers im my stash, and i would like build the Bristol Blenheim Mk.IV. I've read the qualifying conditions (bombers, 2 engines, minimum 2 pers. ) and i think that he qualify. But i'm not 100% sure. Is this plane OK for the campaign? Seems to me that it qualifies quite nicely. Full speed ahead! Hi Franck it was built as a bomber and is multiple engined so your good! There's a lot of really good work going on here and I feel bad that I've let this one get away from me. Looking at the calendar, I note that there are less than two months left, and it's time to fish or cut bait. I'm thinking of them as Larry, his brother Daryl and his other brother Daryl. 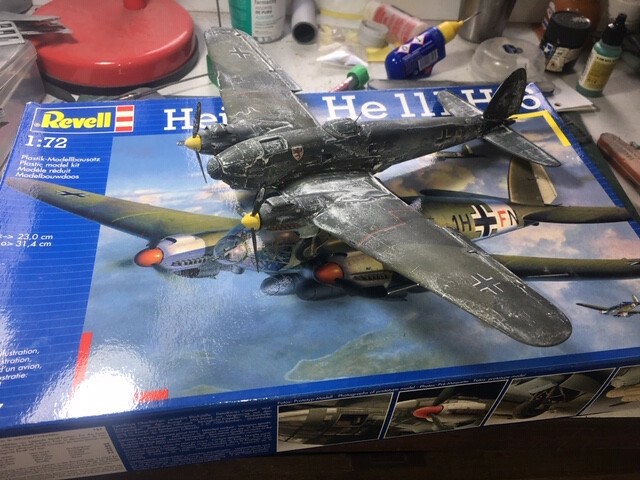 My JU-88 is now ready for the decals and final touch ups, as antennas, rest of cockpit glazing etc.